"The business serves as a platform on which young women across Africa can create and share entrepreneurial ideas. It provides support for their ideas and access to professionals who can assist with advice and funding to turn start-ups into major business enterprises." "Afua Osei and Yasmin Belo-Osagie — co-founders of the media and events company She Leads Africa — coined the moniker to refer to members of their fast-growing online sisterhood of millennial urban women united by a shared ambition to build businesses or carve fulfilling careers. Judging by the crowds at their SheHive networking events in Lagos and Abuja, the duo appear to have identified a big market for the inspirational content on their website and the support they offer start-ups." 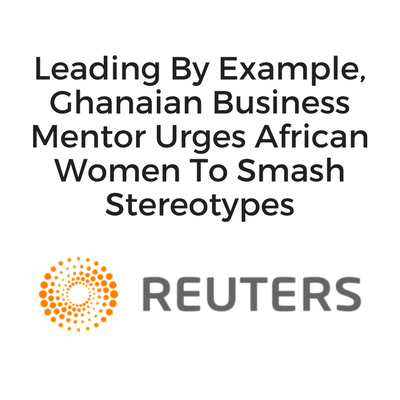 "In the male-dominated world of startups and entrepreneurship, two young women are showing initiative to give the next generation of African female business leaders a fighting chance." 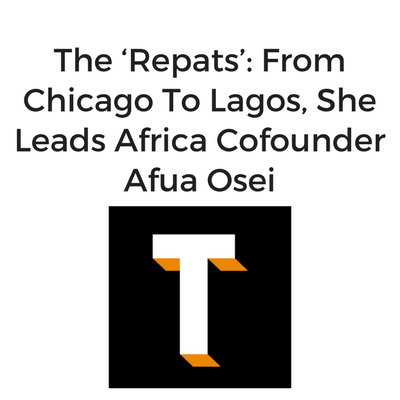 "With She Leads Africa, Yasmin Belo-Osagie and Afua Osei have created an online network of encouragement and inspiration to support the business ambitions of African women. The site offers tips and webinars from experts, and master classes from female leaders in fields ranging from fitness to the mining industry."